What Is IRS Form 709? Who files Form 709, and why is Form 709 required to be filed? Form 709 is used to report transfers that are subject to federal gift tax and types of Generation Skipping Transfer Taxes (GST Taxes), as well as calculate the tax due, if in fact any tax would be due under the facts and circumstances of the transfer. Form 709 also allocates the Generation Skipping Transfer Tax exemption to property transferred during the transferor’s lifetime. Gift and Generation Skipping Transfer Tax is computed and filed with the Internal Revenue Service on a calendar year basis. All reportable gifts can be stated on one Form 709, and you do not file more than one Form 709 in a calendar year. You gave gifts to someone totaling more than the annual exclusion. In 2014, the annual exclusion was $14,000, thus if you gave gifts to one person in 2014 in excess of $14,000, you likely must file a gift tax return. If you gave a gift of a future interest, even if the gift was less than $14,000 (the annual gift tax exclusion) you must file Form 709. Why? This is because a gift of a future interest does not qualify for the annual exclusion, because it is not a present interest. Generally, a gift must be a present interest, meaning the beneficiary has the current right to own and control the gift for the annual exclusion to apply. It is important to note that spouses do not file a joint Form 709. Each spouse is responsible for filing their own Form 709 with the Internal Revenue Service. If spouses gift split, they must file Form 709. If a gift is community property, it is considered to be given by each spouse, and each spouse must file the Form 709. Further, if a gift is made that was held as joint tenants or tenants in the entirety, each spouse will file Form 709. Only individuals will file a gift tax returns. Gifts from trust or a business such as a partnership or corporation, the individual beneficiaries, or business owners may be liable for the gift tax issues. It is important to note that it is the donor, the person giving the gift that pays for the gift tax. However, if the donor does not pay the gift tax, the recipient of the gift can be liable. Based off of the above, who does not need to file Form 709? If you made no gifts to your spouse, you gifted no more than $14,000 to a single individual and all gifts you made were of present interests, you do not need to file a gift tax return. If you have tax related questions, you can speak with a Denver tax attorney by contacting The McGuire Law Firm. 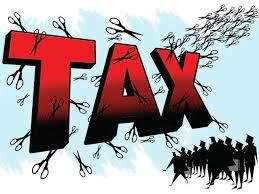 A free consultation with a tax attorney is provided to all potential clients. IRS Form 872 What is FBAR Form 114?